I can hardly believe it, but another year has come and gone. As we start off 2014, I decided to take a look at my previous year of blogging. I think we can all conclude one thing from this roundup - I must always have to pee or something when I take outfit photos. I'm crossing my legs in about half of them! Haha, ah well, when you find a pose that works, you stick with it. Apparently, mine is The Pee Stopper. Overall, this year was one filled with a lot of new experiences, a big one being my move out of my parent's place and learning to be more independent. It started a bit roughly, since I moved in with an old friend that I discovered I was not compatible with lifestyle-wise. I made a mistake in the way I handled that, but we've moved past that thankfully. While our friendship may not be the same as it was, it made me realize and learn some things along the way. Also, I made a new friendship through that experience, one that is going to last a lifetime - of that I'm certain. I've loved living on my own, and although it comes with its hassles and stress, I wouldn't go back for anything! I also changed my major to Visual Arts. It was a tough decision because I kept fighting the instinct of "but it's not practical" versus "but this is what I love." In the end, my heart won the battle. Let's hope it ends up winning the war as well! All I know is that I absolutely love learning what I am and doing what I've always felt inspired to do. Stylewise, I think it's clear that I have a thing for texture-rich outfits. Leather, fur, sequins...I'll wear them all! I'm looking forward to what this new year has in store for me, and I'm curious to see how my style continues to develop. 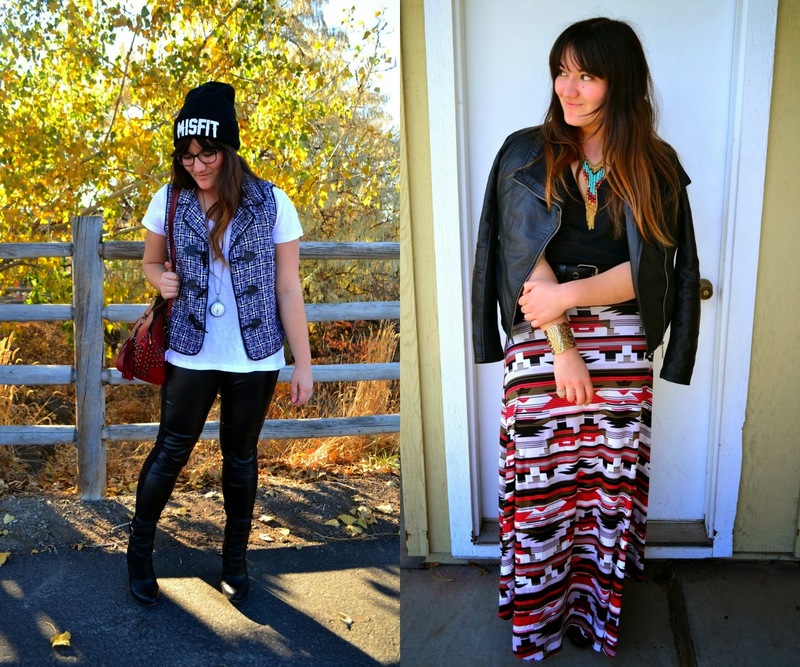 This year, I think I finally pieced together my fashion identity - boho rocker! To all of you, thank you so much for continuing to follow along my blog journey. Whether you started in my Trendy Teal days, or have just started reading, THANK YOU! Your support means more than you know. I hope you all have a lovely New Years, Dragonistas. On a side note, can I start calling you that? Or is it too silly? I don't know, I kind of like it. However, while I picture fierce, dragon-like fashion warriors, perhaps others will picture drag queens. Great top picks :) Arctic princess and knee knockers are my fav! Hope 2014 is even more stylish for you!! Oh my gosh, Linda! These photos are stunning! I absolutely love the arctic princess pictures, how appropriately named :) I've only found your blog not that long ago, so some of these pictures are new to me. I really do love the way you dress, it inspires me. Happy New Year, hon! All are so beautiful Linda, but I can't get past the Arctic princess, you look so ethereal and the entire photo shoot was magic. Dragonistas! Haha I like it! I love textures too, and you are the queen of accessorizing! I love that you chose 13 for 2013! So clever! My favorite shoot ever of yours was the Arctic Princess! My favourite is Let’s Get Zesty. I love the print and colours. 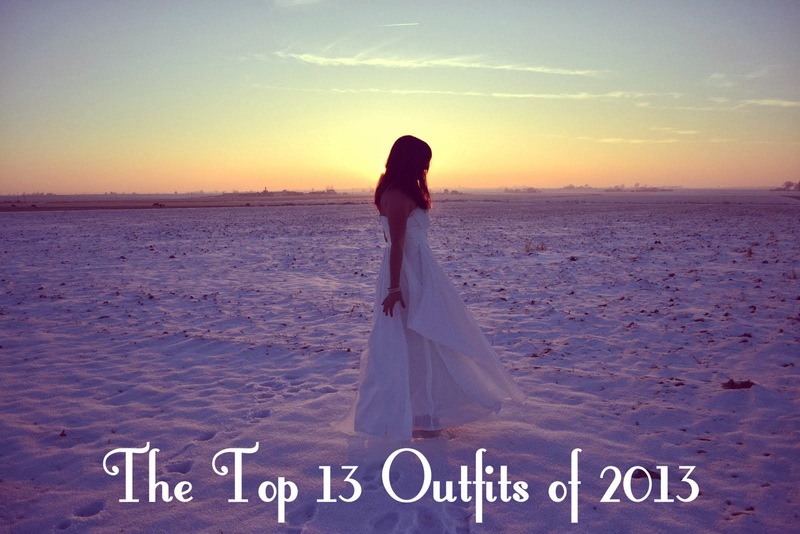 I love all of the outfits you chose for your top 13! Your outfits are all so brilliant you are just so gorgeous! Such great outfits through the year. I really love that all white ensemble and all the outfits in the first row of your sets of three! Sounds like it was a good year for you, Miss Linda! I love all of your texture-rich, as you said, outfits! That's definitely true--you always have interesting patterns and fun textures you play with. I love that! oddly.. i love both the first and last outfit!! arctic princess and snow day! :D so fab for this year, dear! This is lovely, you look pretty. Linda, I remember that dress! It was so gorgeous and you captured it brilliantly in that setting. You have wonderful style. You've been through so much this year. It's all a part of learning and growing. We all make mistakes. We learn and move on. Praying that this is a great year for you. You so deserve it and more. My favourite outfit out of these has the be the 'Let's get Zesty' one but the photos in the snow are absolutely stunning. I've never seen snow before, but I'm sure I would not look as graceful as you do whilst wearing that dress in it. I'm not used to the cold. I love the arctic princess one - so incredibly beautiful! My favorite has to be the artsy Arctic princess one. That gown is just gorgeous, and you must been such a trooper to take the pictures in the snow. 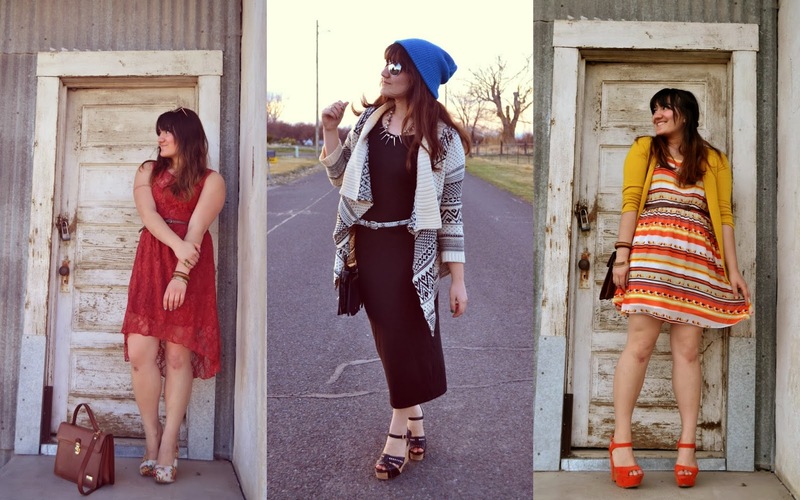 I love it when bloggers experiment with more editorial shots. Hatchlings!!! :D I like that one and of course dragonistas, very clever! I wanna be a fierce warrior now! :) Arctic Princess is my favorite, that dress is just stunning and the shots are pretty damn amazing. Congrats also on changing your major...that's a big move and one I'm sure was not taken lightly. Happy 2014 to you and wishing you all the best! Dragonistas - I LOVE it. Bahaha. I'm loving this round-up Linda - your pictures are always oh-so gorgeous! Oh Linda B. I recognize so many of these tremendous ensembles of yours. I must get some hats similar to yours. I love that ethereal pose in the first photo! I remember those from last winter = such beauty! Glad you accepted my $4 deal as the actual. 99¢ would have been awesome but $4 bucks is still nothing to complain about, huh? I can't stop staring at the arctic princess photos! I love them! i really LOVE this outfit review Linda! all of them! 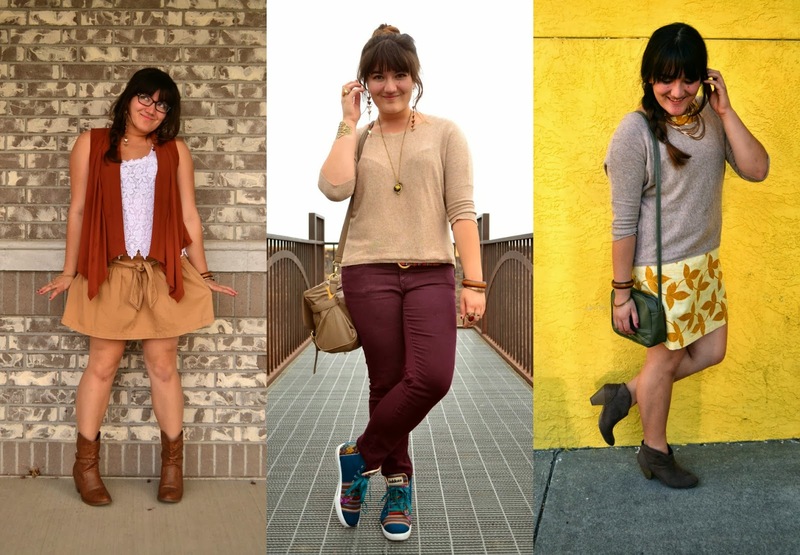 it's nice to see the variations of your style thru the past year! i like the mix of colors and yes, textures! you never fail to give us interesting ensembles which definitely have this "boho rocker" vibe to it!! ps: "The Pee Stopper" pose - made me laugh! 'Dragonista' is kinda cool, haha! Lets get zesty is definitely a fav. That outfit was so much fun. But I have to say that the artic princess post was amazing!!! I loved all the photos from the shoot. so many great outfits! happy new year linda, looking forward to another year of posts from you! I can't believe 2013 year is over, time is running like crazy! Anyhow, wishing you a happy new year, dear Linda! All the best for you! I've got to say, those photographs of you in a white dress have grabbed all my attention, simply gorgeous! You looked amazing in 2013 Linda! Here's wishing you a rocking 2014. Dragonettes - I like that ;) More luck and wishes to you! happy new year, dear Linda! I really can't choose between those outfits here. they all have that something about them, something I like. colours, patterns, textures, accessories, actually anything. I like it how you manage to show us, your readers so many different pieces! that's just awesome! Top 13 of 2013-- great idea! Some of my favorites definitely made the cut. 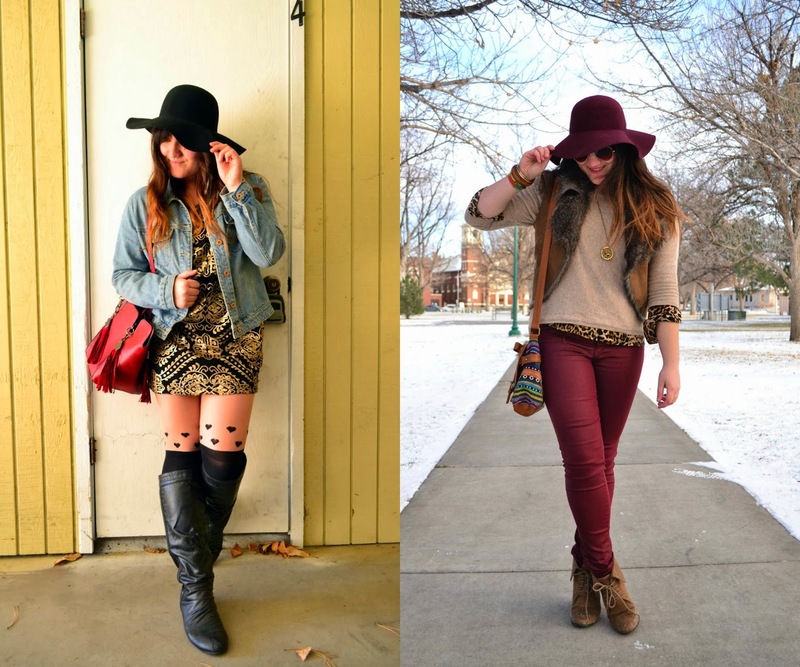 I particularly love Textures and Print, Let's Get Zesty, and Snow Day! Bohemian rocker is totally how i think of your style.;). I'm so happy that you included the artic princess post as one of your top ten, the pictures from that post will always be my favorite. The light, the setting, the snow, the dress! Its been such a huge year for you and its been fun to watch your growth. I know I'm awful about commenting but I do read every post. Heres to an awesome 2014! I love these posts! 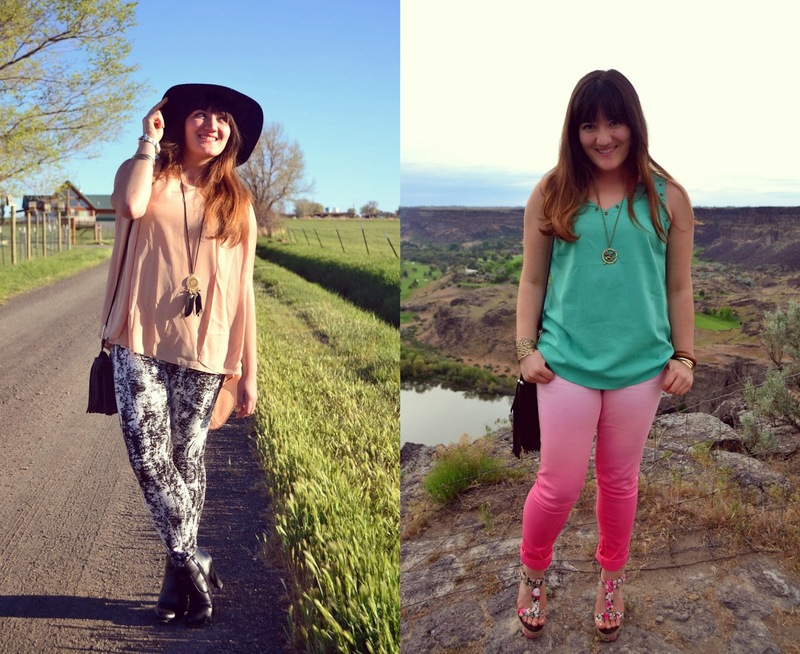 They are a great way for someone who is semi new to your blog to see your style! I really am getting an earthy boho vibe tone from you! The warm shades look so nice on you!